Find yourself at The CORE! 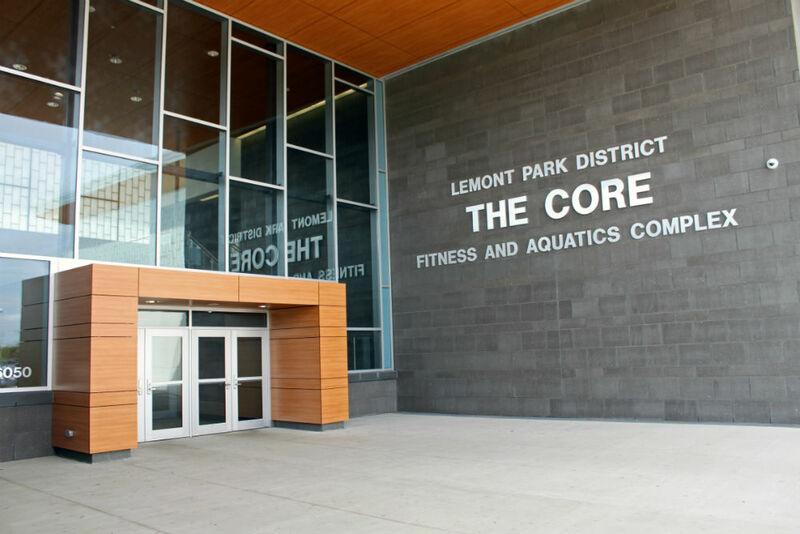 Proudly standing as a pinnacle in the heart of Lemont Park District’s Centennial Campus, is The Lemont Park District CORE Fitness & Aquatic Complex (The CORE). 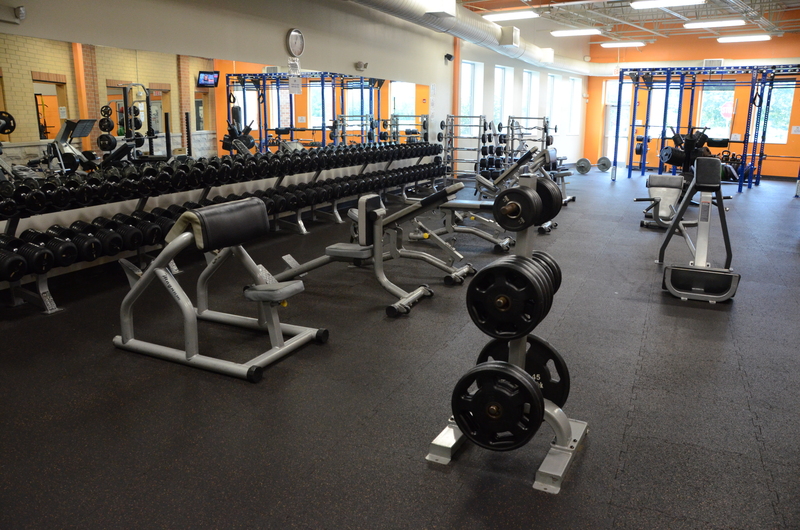 This amazing all-inclusive sport and fitness facility is truly the center of it all – the center of the Lemont Park District, of a great Community and a better you! The CORE is home to a state-of-the-art fitness facility which houses over 100 pieces of the most innovative fitness equipment and free weights available. Including towel service, iPod docking stations and video screens on every machine, The CORE also has Personal Training available. Adjacent to the equipment and free-weight rooms is an open area for stretching, warming up and cooling down. Here Personal Trainers can have one-on-one meeting sessions with their clients to discuss individual progress and goals. A Membership Services Professional is staffed to meet the needs and concerns of all members. Providing the most up-to-date equipment and impeccable service, is at the center of The CORE. Feel like a swim? Jump right in the 6-lane swimming pool inside The CORE! 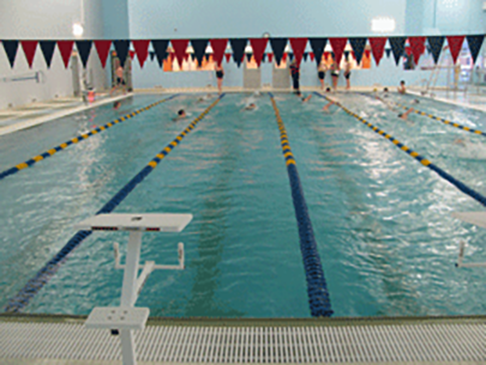 This modern indoor pool, in addition to the outdoor Centennial Pool, is ready to meet Lemont’s aquatic needs year round. This aquatic facility, measuring nearly 8,000 square feet, plays host to lap swim, water aerobics, swim meets, open swim, and a variety of other Park District aquatic events! Come join us, the water’s perfect! Basketball, volleyball, even baseball with indoor batting cages—you name it, this Gym has it! The Gymnasium at The CORE spans over 21,000 square feet maximizing Court Time for all. “Open Gym” as well as an array of other events take place here every week. 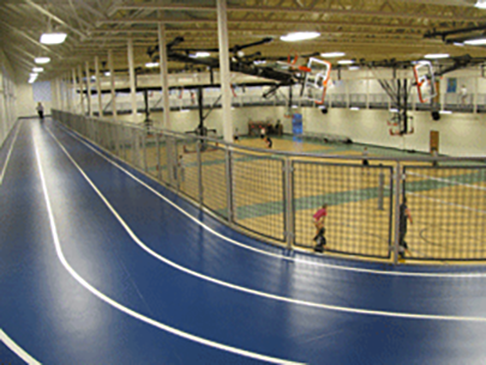 Encompassing the entire Gym is a remarkable elevated indoor track. Extending a 10th of a mile around, it allows ample room for all runners and walkers year-round. Three deluxe workout Studios sit inside The CORE. Yoga, dance, aerobics, kickboxing, pilates – you can find it all at The CORE! Multi-purpose rooms are available for rental; you can host your next birthday party, business meeting, club event, all at The CORE! Childcare at The CORE is available to moms and dads so they can get their workouts in, while kids can get their fun-time fill! The CORE is proud to be a part of the Healthways Silver Sneakers Fitness program! Click here for Healthways Silver Sneakers info! Monday – Friday 5 a.m. – 10 p.m.
8 a.m.– 1:30 p.m. & 5:00 p.m. – 8:30 p.m.
Childcare is on a first come, first serve basis. Parents/Guardians must remain on CORE property. It is recommended… If you are under doctor supervision that you discuss your exercise capabilities and limitations with your physician. 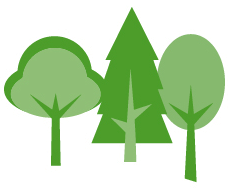 For additional information, call the Lemont Park District CORE at (630)257-6787 x3026. 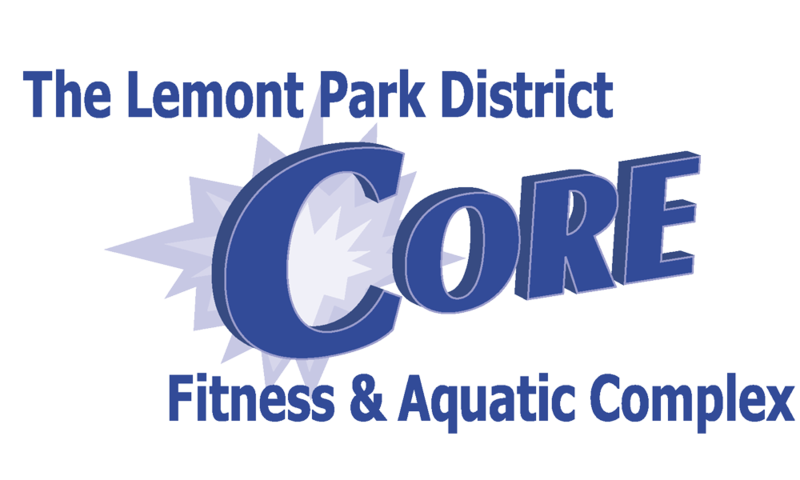 Just a reminder, all members/guests need to have a CORE Membership, Open Gym/Swim Pass OR a Resident/Non-Resident ID Card to attend open gym/swim times. The ID card is free but fees will apply for open gym/swim/fitness center. Please see The CORE Service Desk staff for more information.